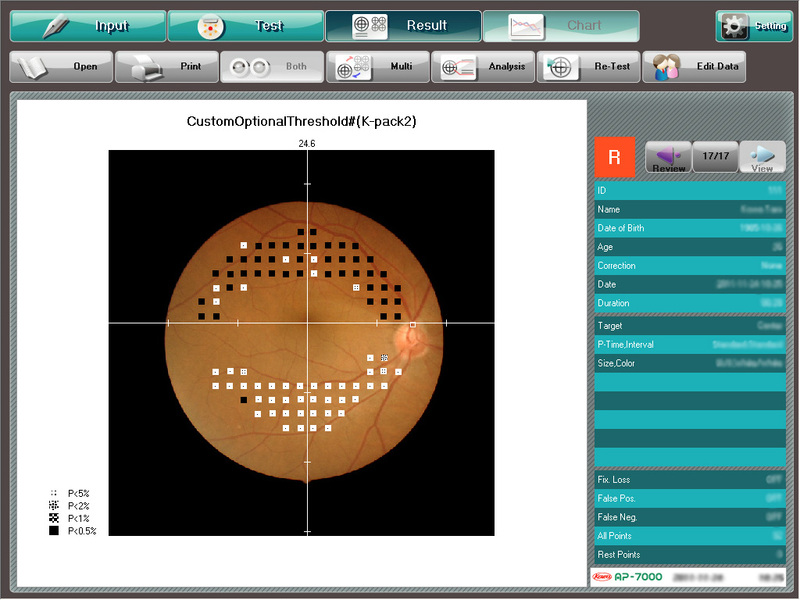 Goldmann visual field analyser for both static and kinetic perimetry - Structure & function on fundus and OCT image. 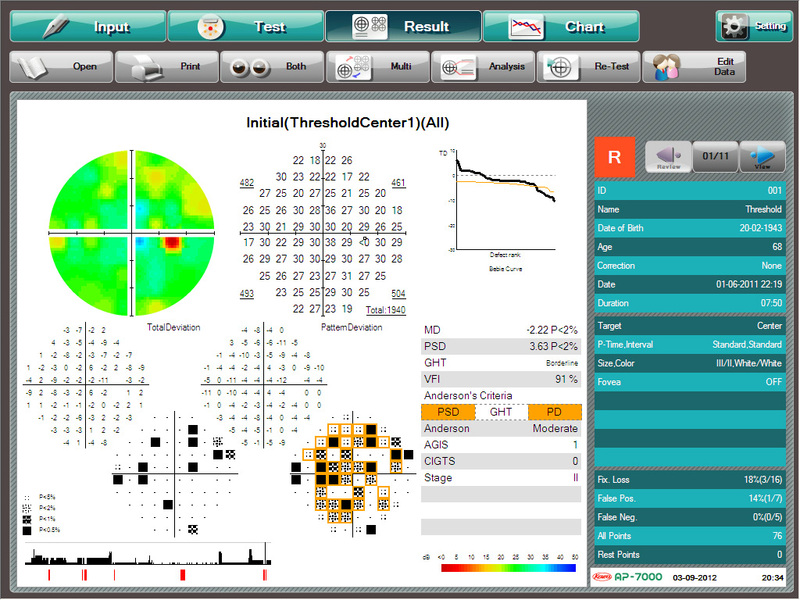 GHT (Glaucoma Hemifield Test), VFI (Visual Field Index), Threshold (24-2, 30-2, 10-2, Macula) Measurements, DVLA esterman eye test. 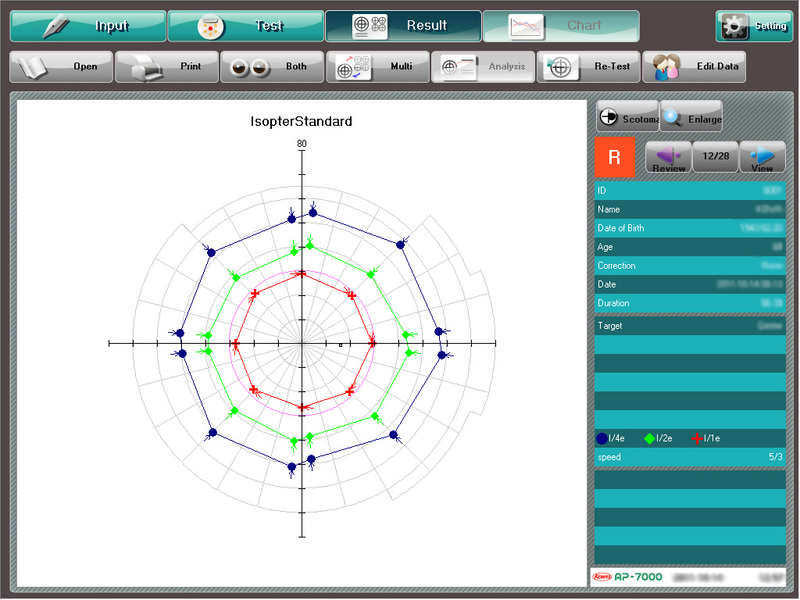 Due to Kowa’s extensive normative database which considers both the central field and the periphery, you can be assured of consistent, accurate assessments. 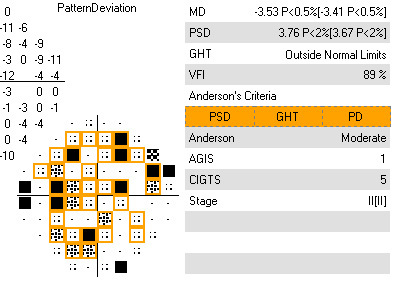 Full threshold modes offer macular, central and peripheral coverage up to 80°, whilst screening modes provide swift evaluation of the visual field. 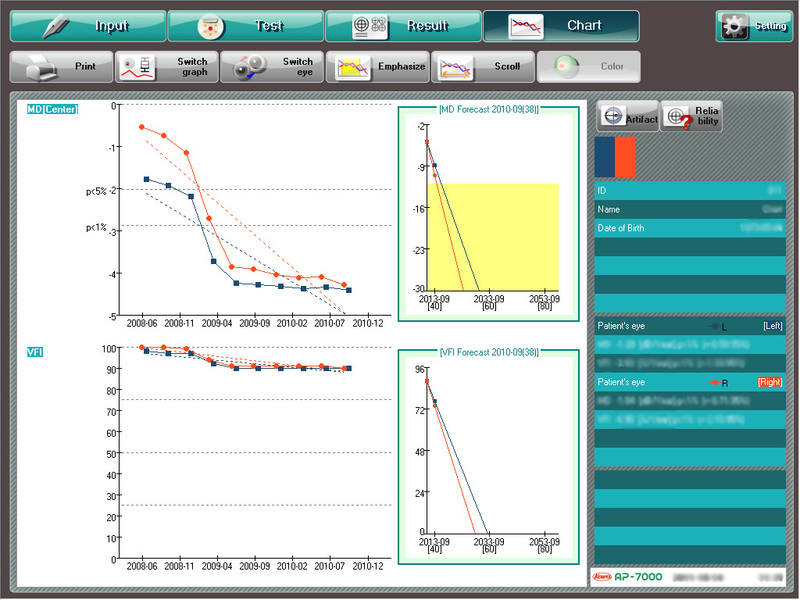 To shorten test times, quick modes are available for both threshold and screening modes. 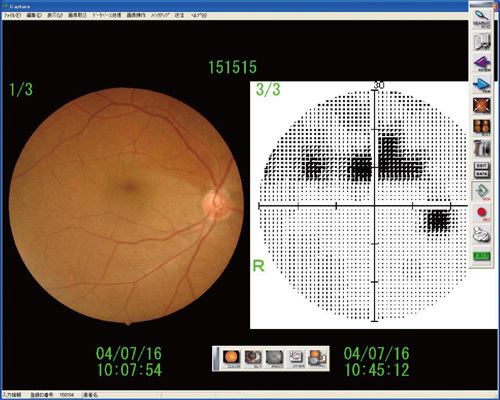 Static perimetry can be linked with fundus images from cameras, OCT and SLO to define specific test locations on the retina. 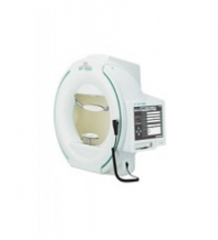 With its ergonomic, compact design, the AP-7000 offers additional comfort to patients, easy operation for the clinician and fits perfectly within the practice.